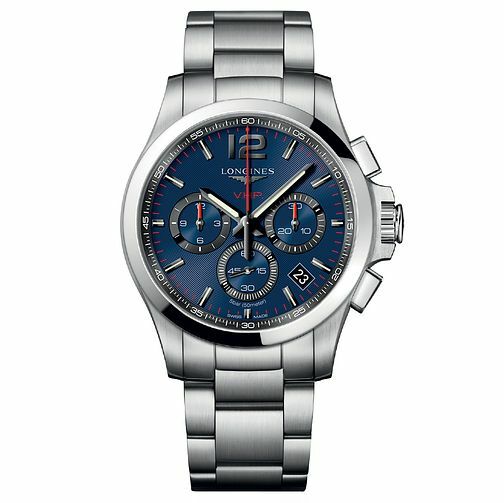 Longines shows its mastery over sophisticated design with this sporty piece from the Conquest collection. With a rippling navy blue dial showing large numerals and three separate subdials tracking 12 hours, 30 and 60 minute measurements respectively. The indices are marked with an iconic red and black colour scheme and a large date window sits next to the 5 o'clock mark for added efficiency. Made with decades of Swiss watchmaking expertise.